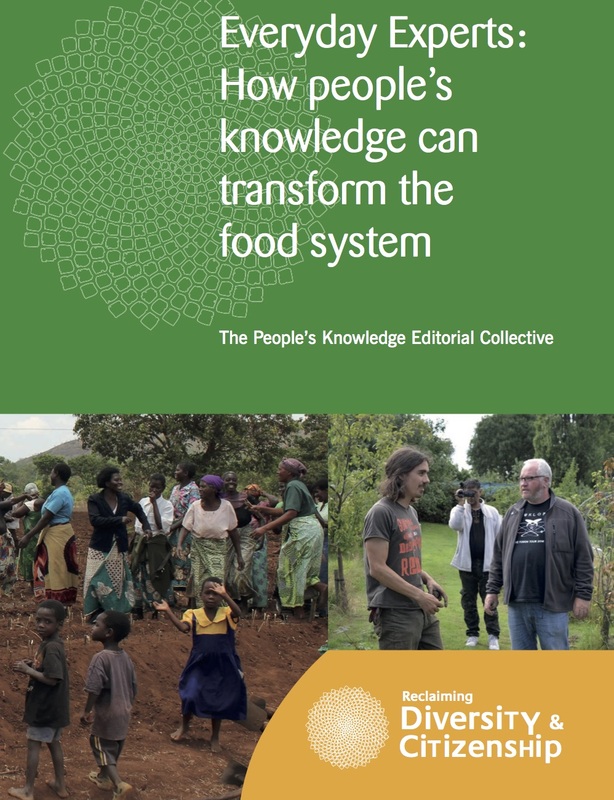 This volume, available online as chapters or in full, is designed to support people’s partici­pa­tion in decision-making in their localities and around their food and food system. It showcases examples that balance efforts of people with pro­cess knowledge (e.g., academics and other profes­sionals) with those who have experiential knowl­edge (i.e., lived experience). The latter are the everyday experts of the title. Their stories, projects, lessons, and challenges run through 28 chapters and demonstrate the editorial collective’s interest in affirming multiple epistemologies and methods. By de-centering the professional experts, the editors fulfill their “call for the recognition and affirmation of Indigenous, local, traditional and other non-mainstream knowledge systems” (p. xix). Instead of reporting knowledge simply based in science and scientism, the editors have brought together a group of author participants who share an under­standing of a broader set of knowledges driven by co-production in nonhierarchical dialogue, includ­ing multiple indigenous epistemologies. If you have read, or written, about how society needs a trans­formation in how we go about addressing social justice and environmental sustainability or regen­eration in the face of mounting global challenges, this book will be a valuable contribution to your reading list and you might find inspiration here. In fact, it would be hard not to. . . .